Are you struggling on the apartment hunt? Don't know where to park? Don't have a car? Don't want to get off the couch to change the TV channel? 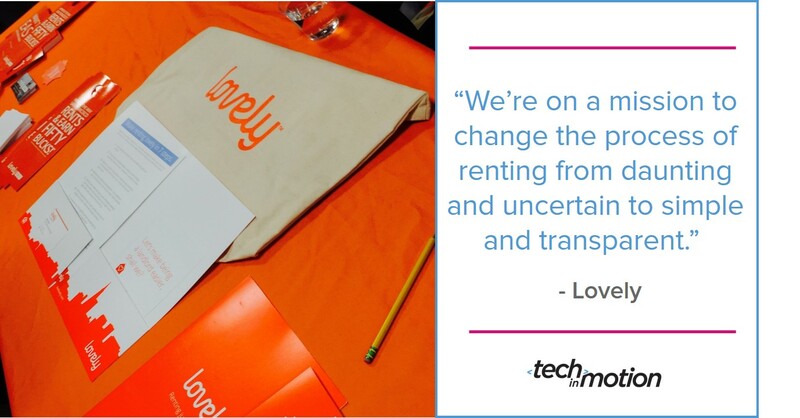 Everyday life is full of hurdles, but tech companies in San Francisco are coming to the rescue, and locals got the chance to see how. 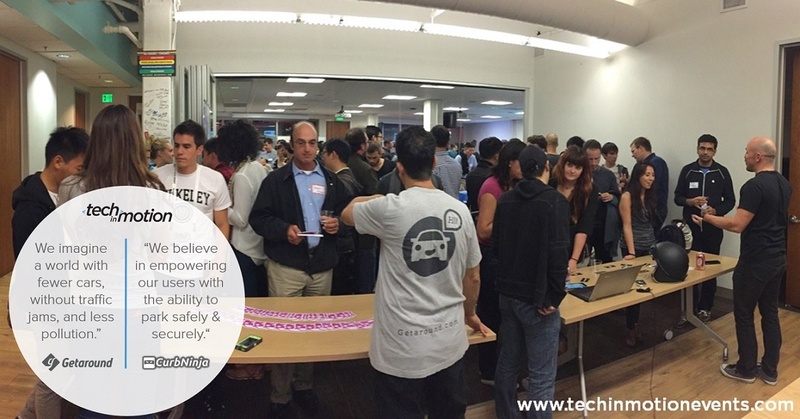 At Tech in Motion’s September event, more than 200 enthusiasts packed the coworking space Geekdom SF by Rackspace for a night of networking, drinks and demos from 8 startups that could revolutionize our lives. Check out some of the latest products and ideas from these hot tech companies; Ring ZERO, Stitch Fix, Metromile, Getaround, CurbNinja, Lovely, Nommery, AdtoApp, and GroovBooth. 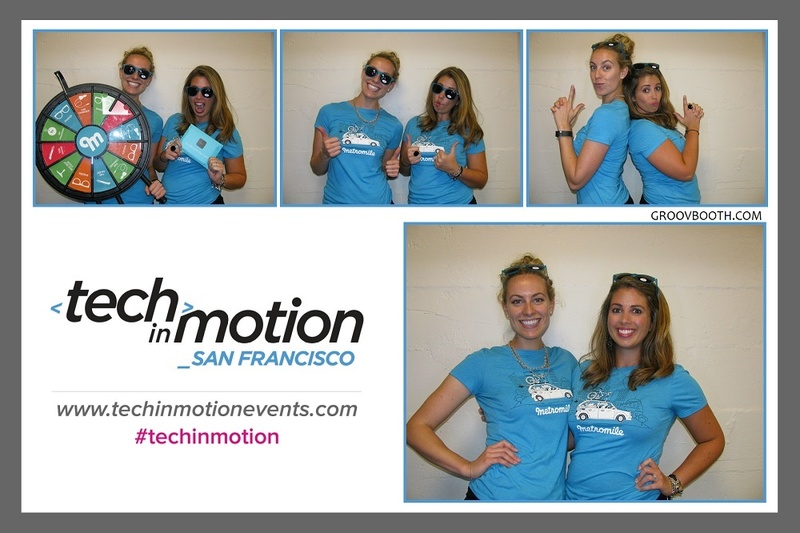 Attend a Demos & Drinks event near you in our of Tech in Motion's 10 cities. Getaround, past winner of TechCrunch Disrupt and a “top startup to watch” according to the Wall Street Journal, is a local company based in San Francisco that enables peer-to-peer car sharing. Through their app, they've built a unique community where people can locate, rent and unlock great cars simply by using their phones, for as little as $5 an hour. Members can also rent out their whip for a maximum earn of $10,000 per year. Craving a BMW? A Tesla? Check, check. 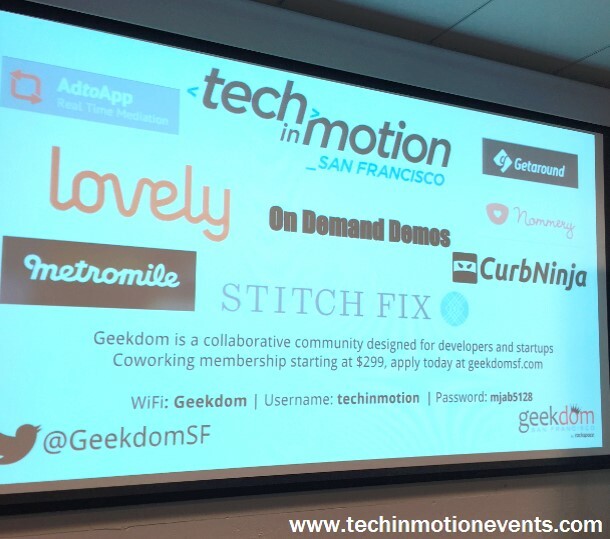 Join the Tech in Motion chapter closest to you so you're in the know about awesome tech companies like these!